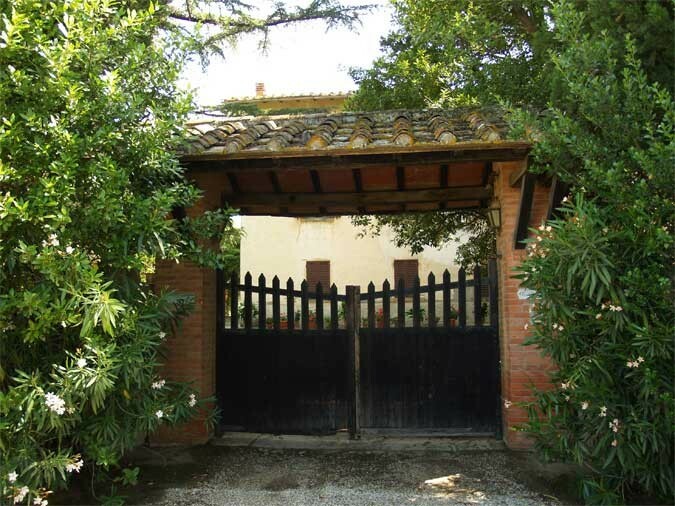 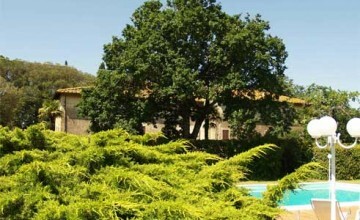 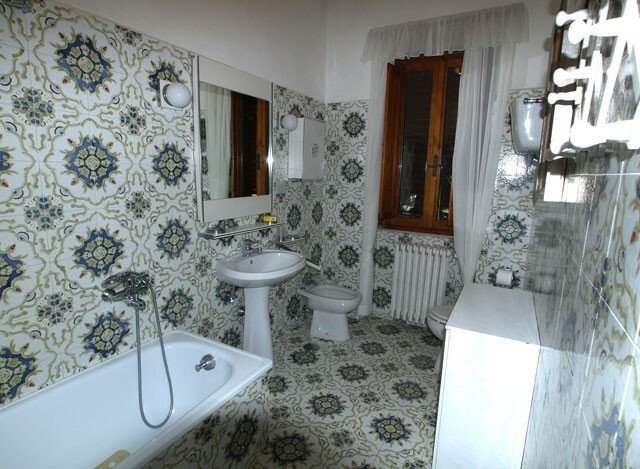 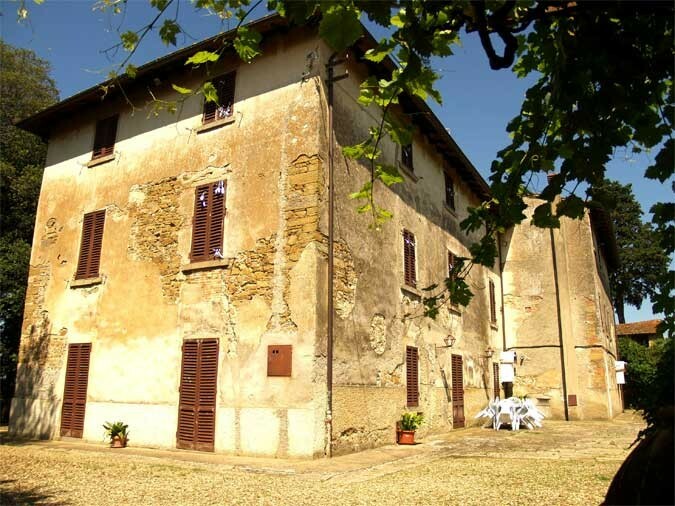 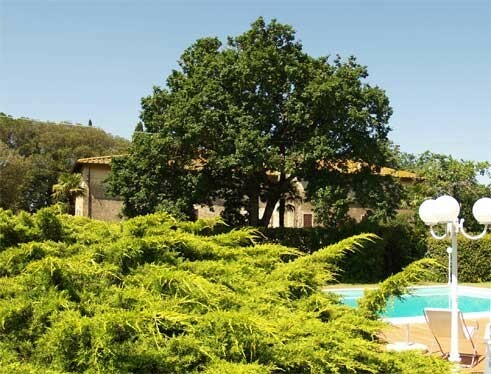 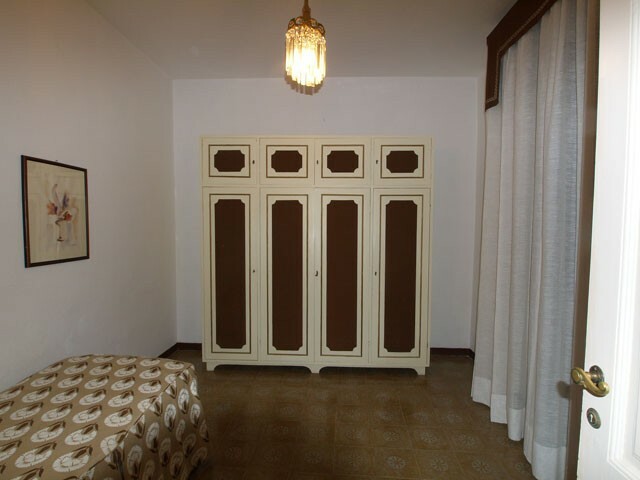 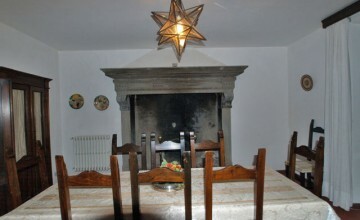 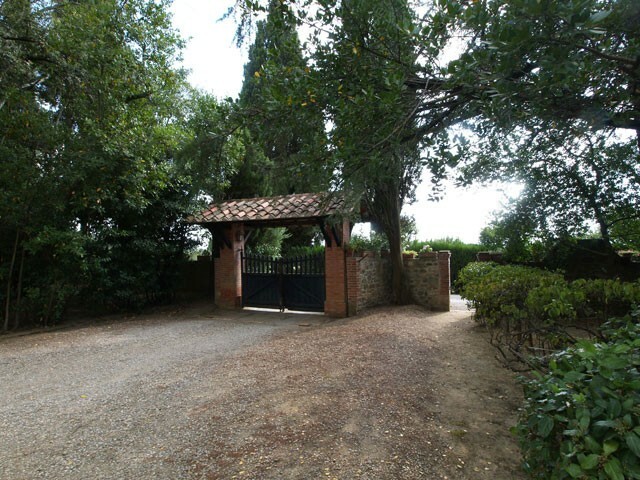 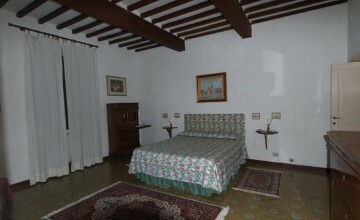 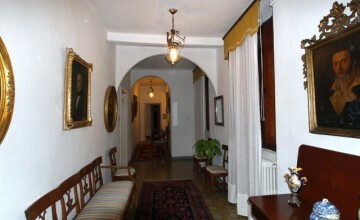 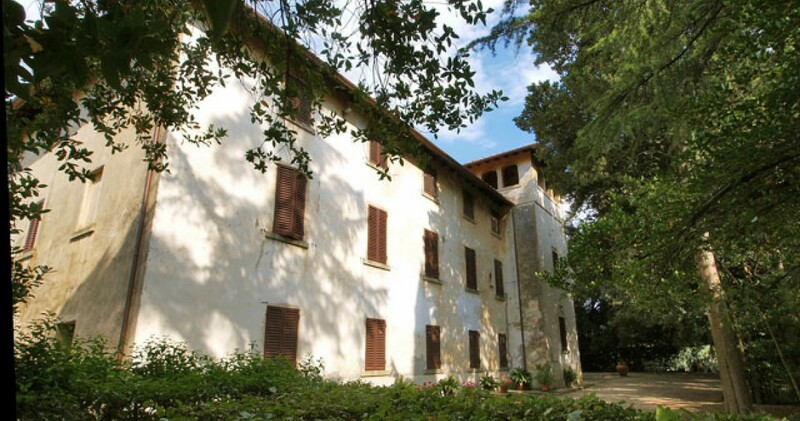 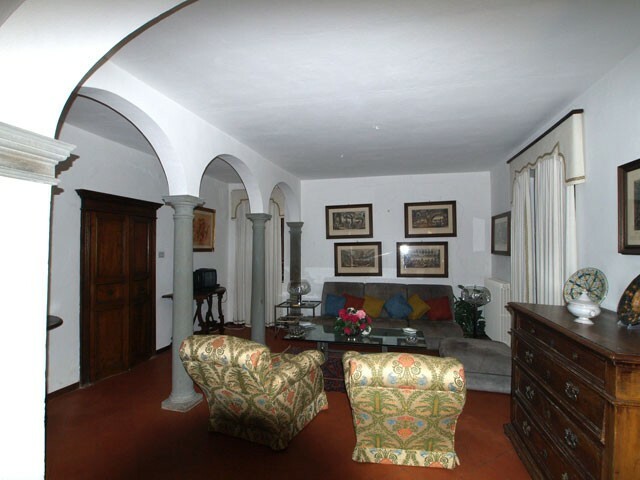 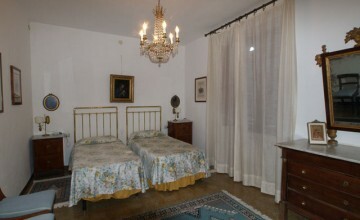 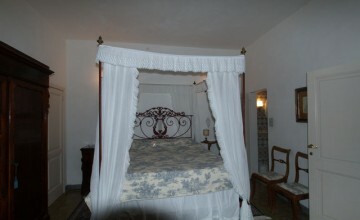 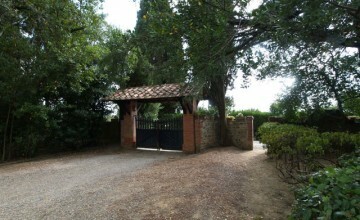 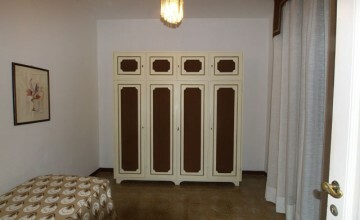 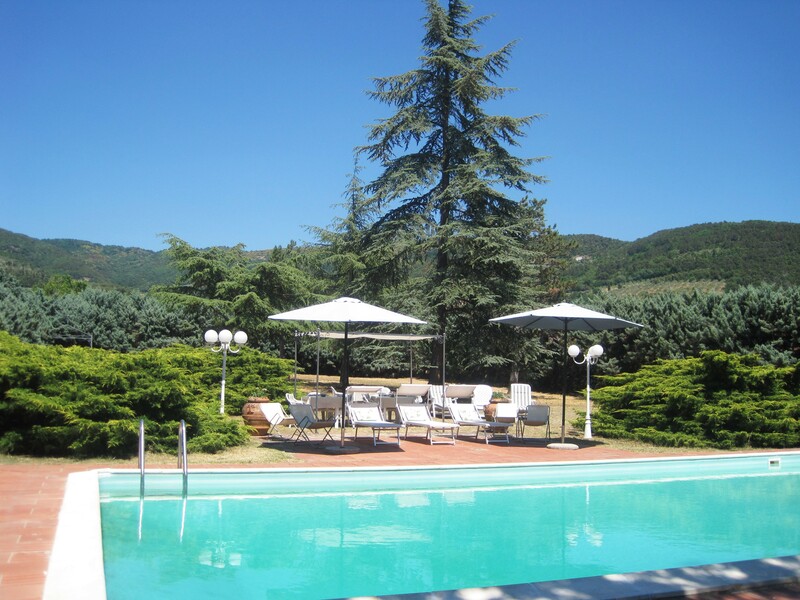 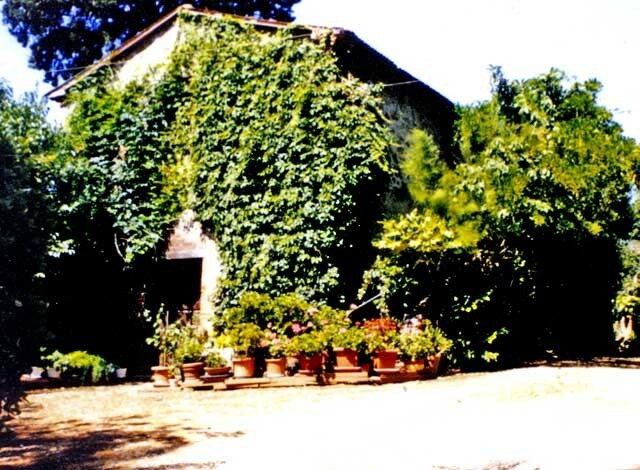 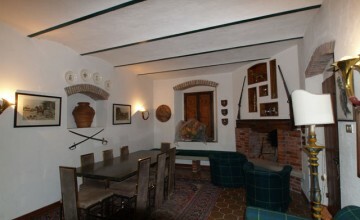 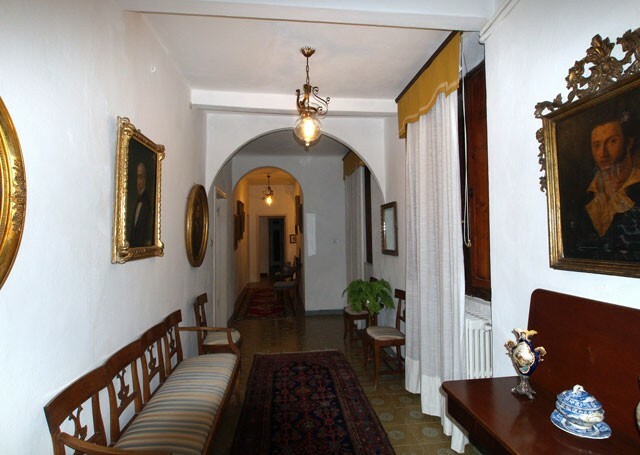 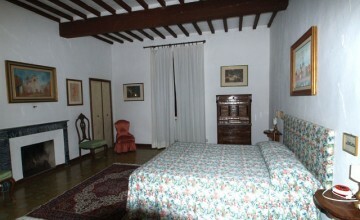 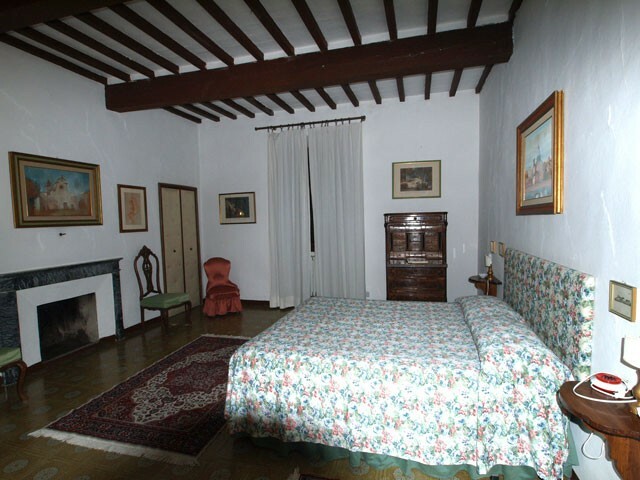 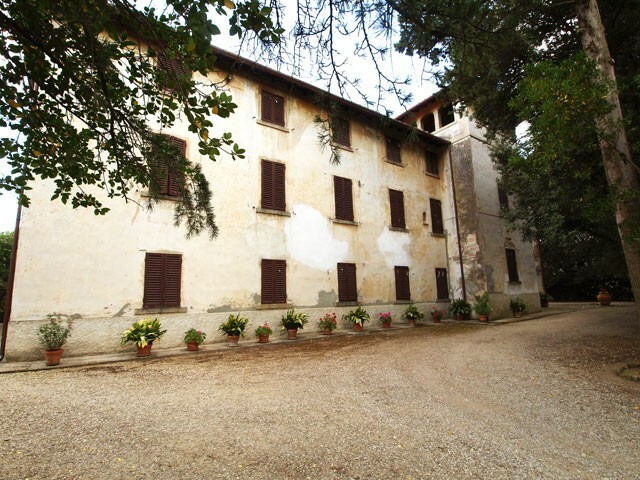 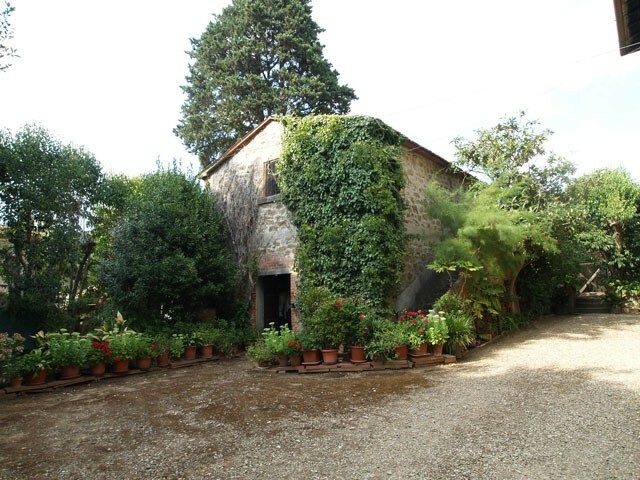 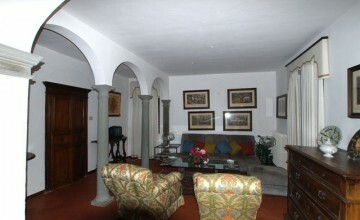 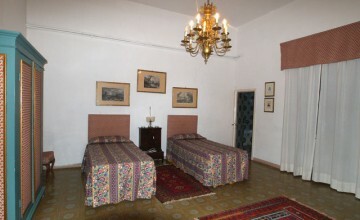 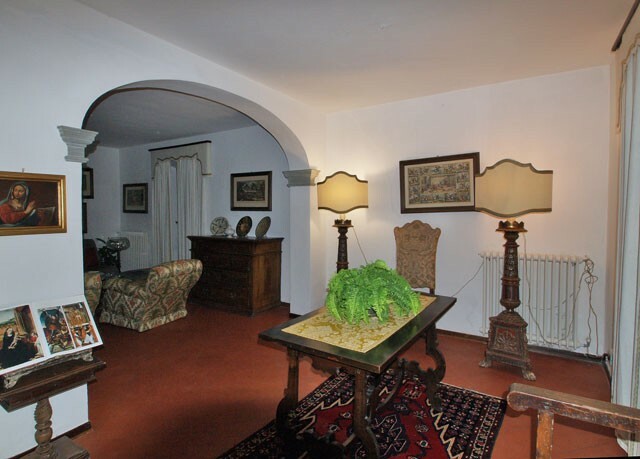 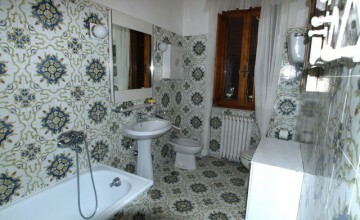 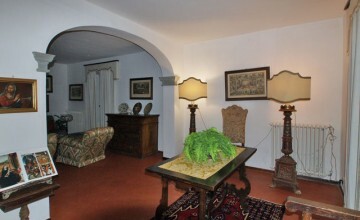 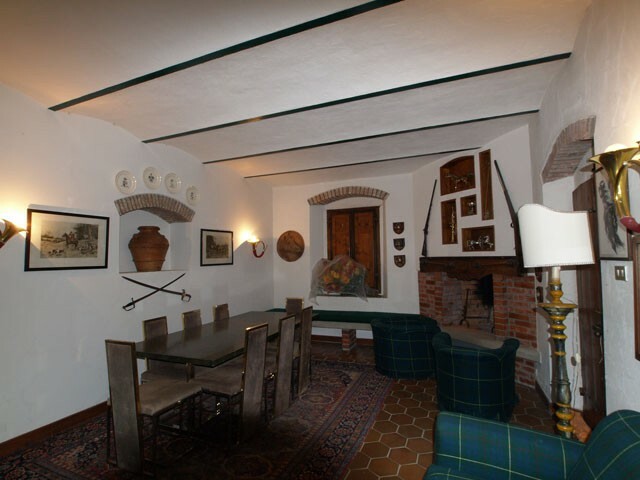 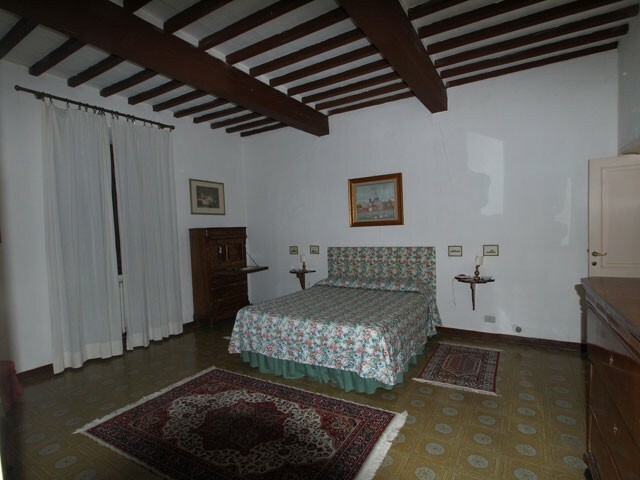 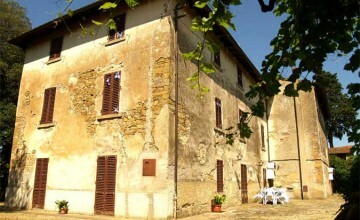 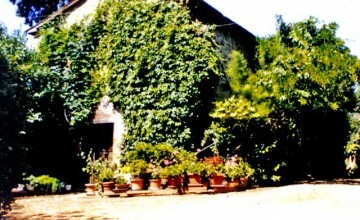 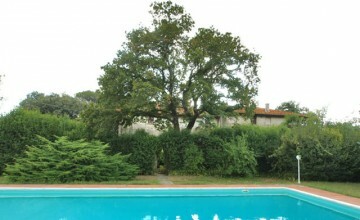 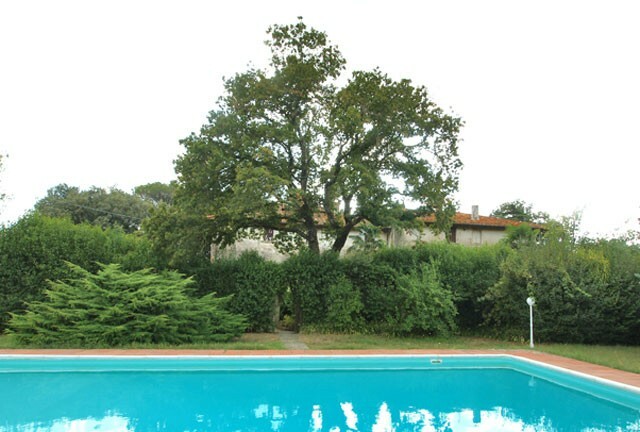 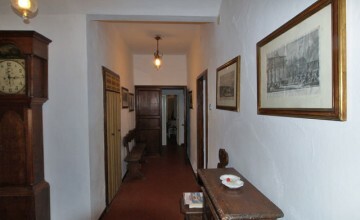 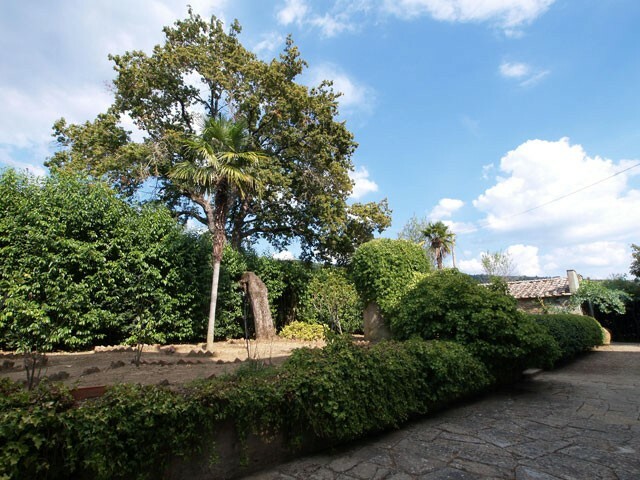 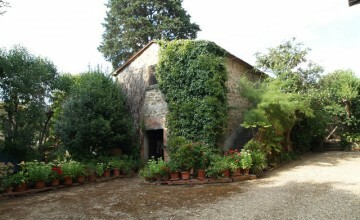 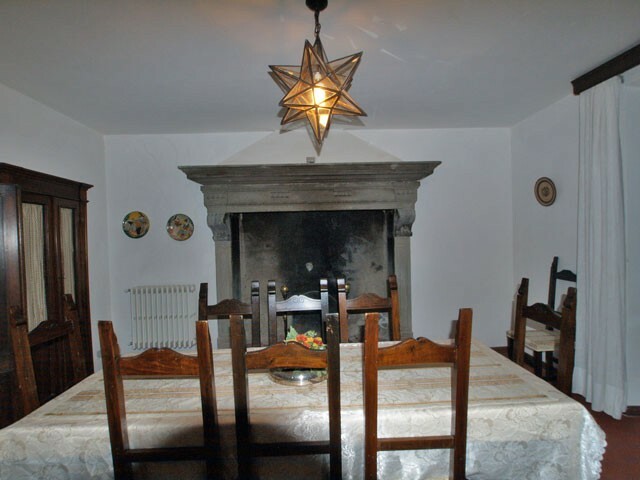 The property is located in a quiet position not far from Arezzo, Cortona and Castiglion Fiorentino. 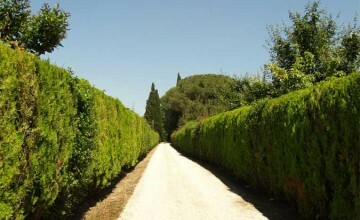 The access is through through a private road adorned by cypresses and thuyas. 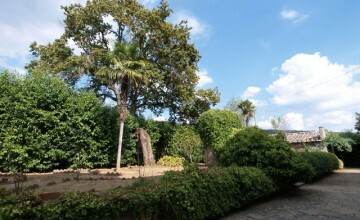 The main villa, immersed in a secular park with mature oak trees, palms and Italian garden, measures over 650 sq.m. 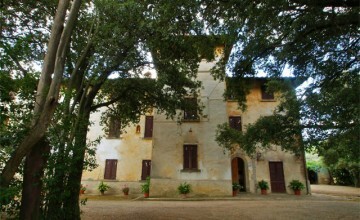 It is an elegant, three floor building with a tower. 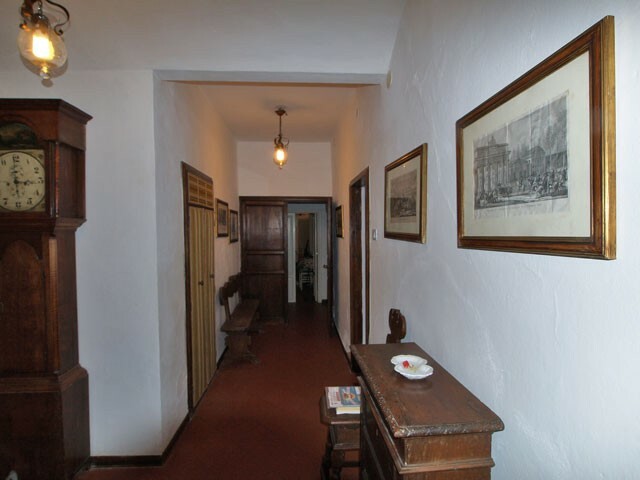 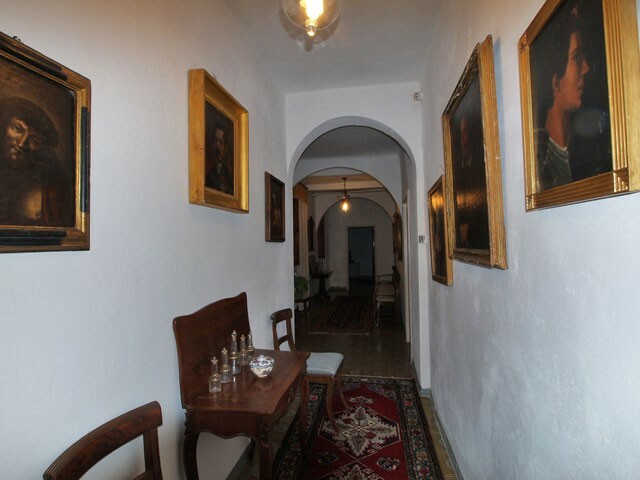 The ground floor has an entrance hall, great sitting room with arched ceilings and stone columns, dining room with antique fire place, kitchen with original stone sink, secondary sitting room with fire place, laundry, olive oil store and technical room. 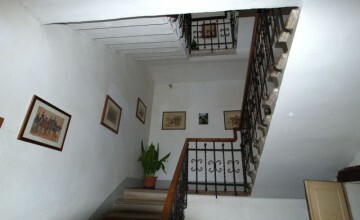 The first floor is composed of 7 bedrooms, 4 bathrooms, kitchen, sitting room. 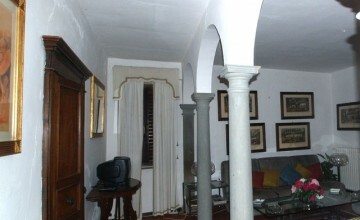 Second floor has two bedrooms, sitting room, bathroom and six other rooms, presently not utilized. 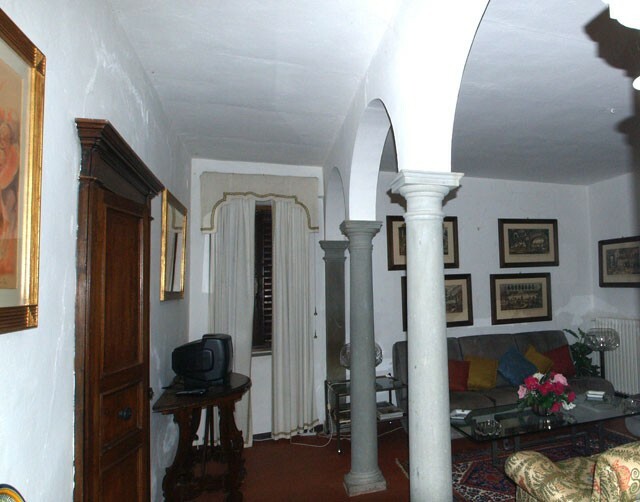 The tower has one room with great views. 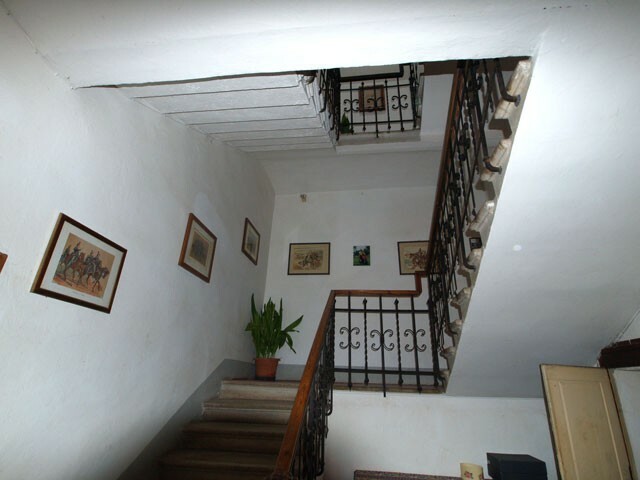 Part of the house is presently used as the guardians’ apartment, which is totally independent with own staircase. 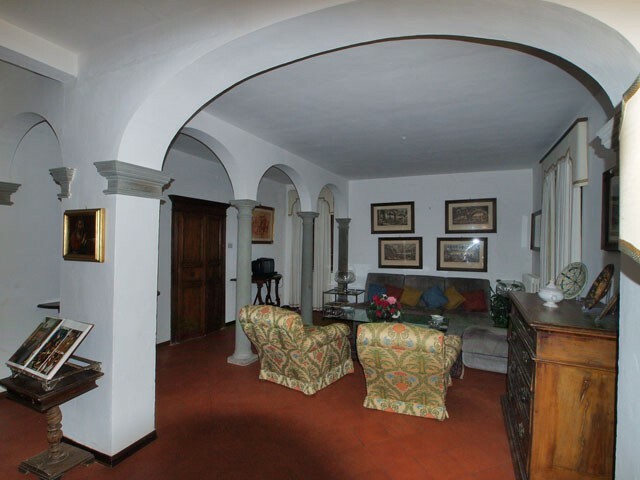 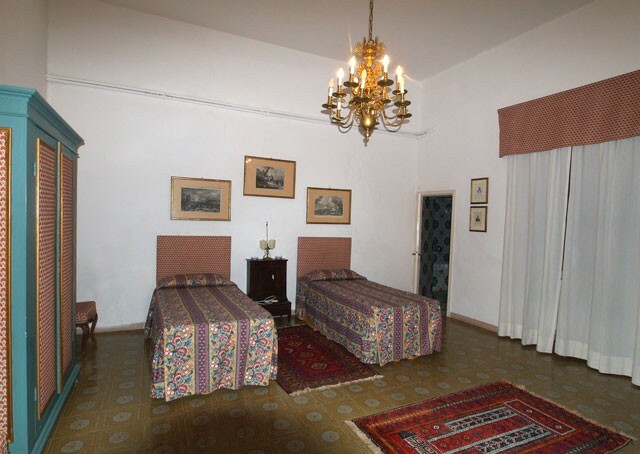 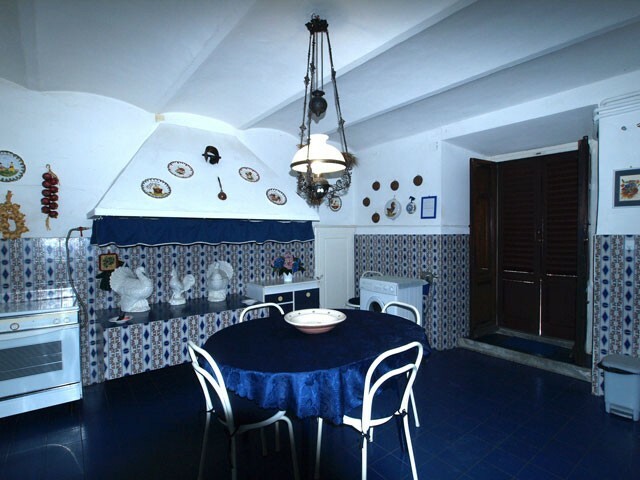 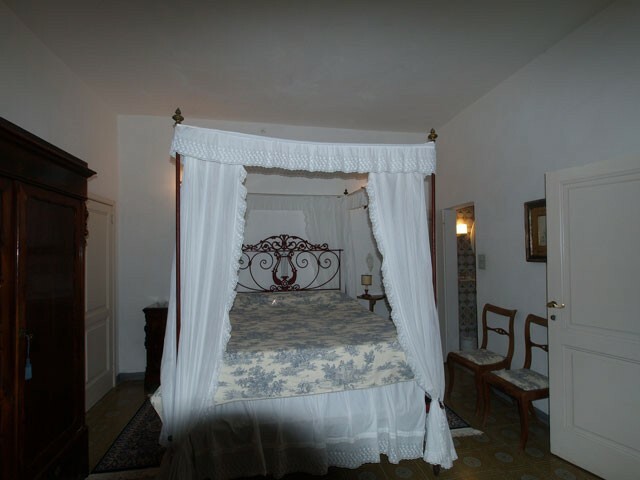 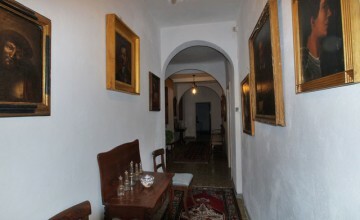 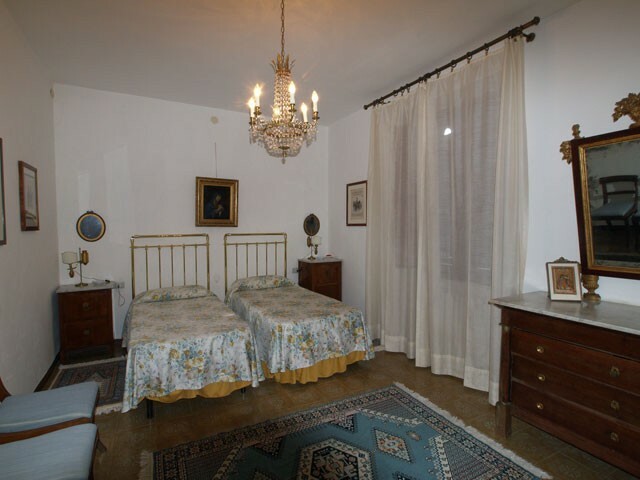 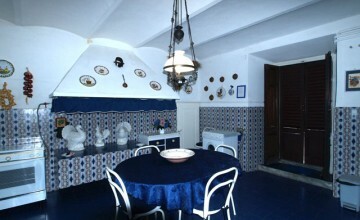 The restored and habitable villa is a great example of typical Italian luxury residences from two centuries ago. 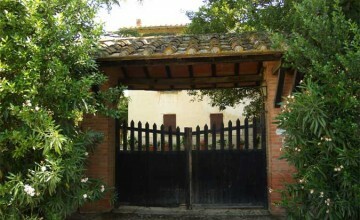 An elegant garage and two spacious outbuildings complete the property (200 sq.m.). 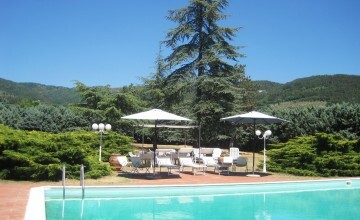 Behind the villa there is an elegant garden with panoramic swimming pool and romantic gazebo. 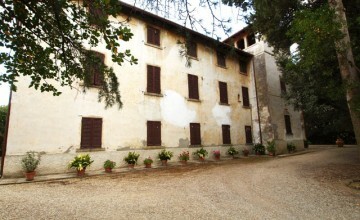 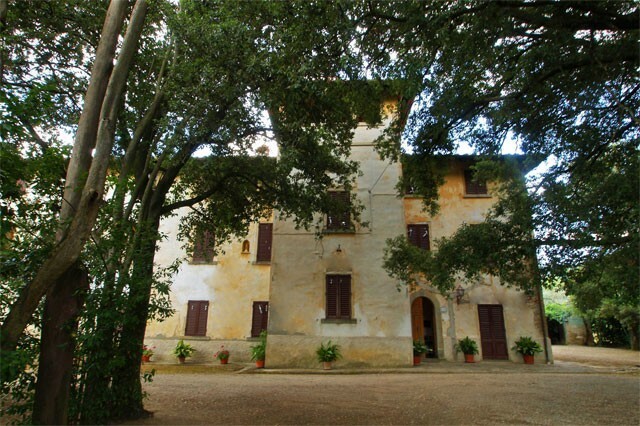 The buildings are surrounded by 2 hectares of land with vineyards, olive groves and arable land. 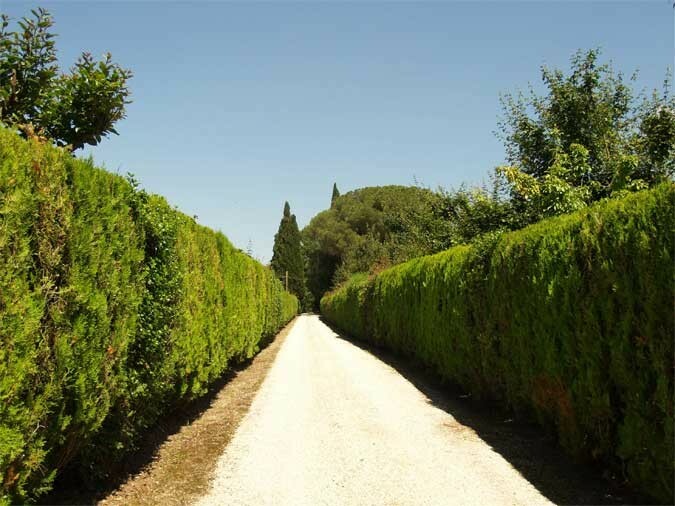 It is one of the most prestigious properties in the area with great advantages of being located in an extremely quiet and panoramic position not far from the main road network and minutes from local stores, services and commercial centres. 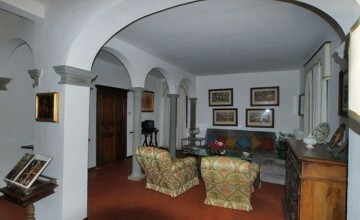 Unique Residence Where Perfection Meets History, Art And Great Interior Design.